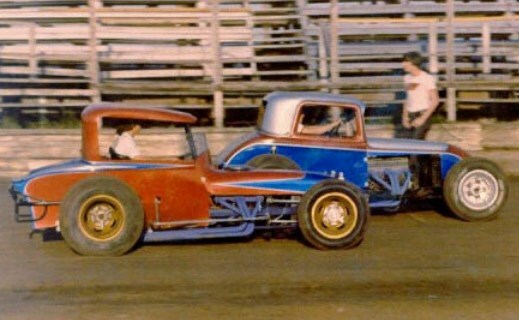 This picture is of the Swindell Brothers in their B cars, packing the track at Riverside Speedway in West Memphis. The blue one is Jeff and the red one is Sammy. I believe this Picture was taken in 1971. That is the year that Sammy started racing. Picture donated by John Gorday.